On a regular weekly or fortnightly basis or one-off we can provide a high standard cleaning with our motivated and friendly, well-trained staff. We work around your requirements and give you a quotation on a personal meeting. All request is dealt with attention. All cleaning material provided by us so you do not have to worry to supply anything. Our aim is simple quality cleaning and first class customer care. We can promise you quality, care and attention to detail. Our deep spring cleaning service is an excellent way to refresh your home using a professional and experienced cleaner who can take pressure off you and saving time. We have many year experience in private homes just a simple top to bottom clean in all areas of the house. All general task included like bathrooms, kitchen, bedrooms and living are cleaned and polished to give them a fresh shine. We offer office cleaning in Glastonbury and surrounding area on a competitive rate. We understand how important it is to have a sparkling clean and tidy office. 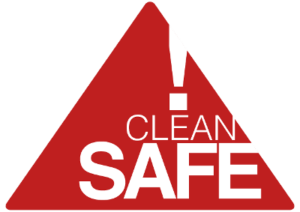 Our cleaners are fully insured so you can be sure you are covered and safe. We work around you needs and our office clean can be done at times to suit you as morning, afternoon, evening, weekday and weekend, daily and weekly. We take care of value and trade secrets making sure no third party get to know any of these. Spending years work with several Estate Agent we know exactly what kind of check list they have to go through for inspection after tenancy. Unfortunately many of the tenants not care about rented properties leaving poor condition and mess after they moved out. We can cope with it. If you are a landlord or letting agent you probably will need help from a professional like us to thoroughly clean your property ready for new tenants. If you are a tenant and want to ensure that you get your deposit back please do not hesitate to contact us and we save time for you. It is a very difficult and specified task to clear out mess after builders as we all know about dust and drops all around surfaces. Properties need special attention after renovation, refurbishment or new build to get the house looking properly clean again. Our team is experienced in four and five star hotels and holiday cottages to manage changeovers. We know well how to deal with complete house change and make it ready for new arrivals even if it is a same day changeover. Our holiday lets from two to six bedroom houses including Bed & Breakfast housekeeping. Any size of apartment undertaken. We can organise laundry for you if required. Busy holiday time have never caused trouble to get properties done on time with perfection. We offer a flexible ironing service to suit your needs and lifestyle. We can collect and drop your laundry off within a short time. © MJP Cleaning. All Rights Reserved.